A popular getaway for cruises all over the world, Fort Lauderdale is considered the Venice of America. The city has a wide expanse of canals that you can traverse on a small boat tour. 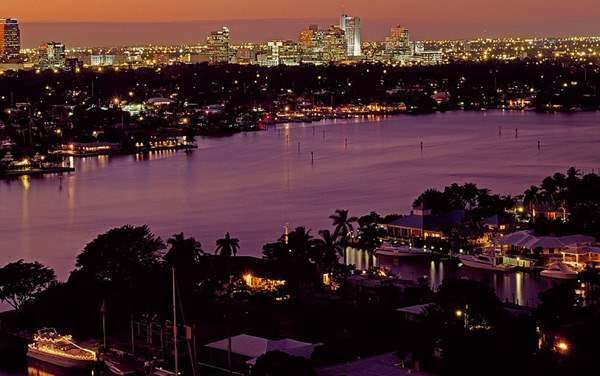 Fort Lauderdale is also a great point to embark on a visit to Everglades National Park where manatees, crocodiles and panthers make their home. To enjoy the sunshine, book a cruise leaving from Fort Lauderdale (or Port Everglades) and find a great cruise deals. Fort Lauderdale also offers amazing beaches, perfect for a day in the sun. If you seek a little more engagement, check out the Museum of Discovery and Science or Butterfly World, a 10-acre farm and research facility. At night, head to Las Olas Riverfront, where there is a wide range of shops and restaurants. Your next cruise that leaves or returns to Fort Lauderdale is sure to be great, especially when you choose one of the Fort Lauderdale cruise deals below.